← Is Modesty the Best Policy? There is another downside. As people yearn for more status symbols they have less time or inclination for helping others. This, the authors argue, damages “community and trust”, which are vital to an economy because they ensure the smooth running of society. They conclude: “Conspicuous consumption can have an impact not only on people’s well-being but also on the growth prospects of the economy.” The theory may go some way to explaining the public backlash against the louche lifestyles of the UK’s footballers, bankers and politicians. So, to counter those harmful aspects, organizations such as Ethical Consumer have put their mission to offer alternatives. As far as my contribution, perhaps looking slightly at a bigger picture, I will outline in this post, 7 consumptions sins: seven things you don’t really need. Yes, really. No, you don’t need any of those. Alcohol, drugs, cigarettes and other addictions – Unless your name is Jane, those are a no no. They take away your second vital asset: short span of time you were given by mighty ____ (feel up based on your religion or beliefs). Some even take your free will so in the name of freedom you willingly take yours away, dominate your thoughts (e.g. getting more of the substance) and replace your needs with new illusions of perceived needs. Do you really want perceived needs when you already have real ones? RIP Amy. Gambling – A close relative of above, as a common addiction – but with a slight addition to being evil and destructive: it is mathematically proven wrong doing, manipulating lots of hard earn cash to make profits for those that already have too much sins commited. It is sponsoring criminals and Mafia. Who else needs a Wonga.com paying 4200% interest for 400 GBP (max) for a month, if not a mind-stolen gambling junkie? Evil services from the dark side, even Darth Vader would fear. Guilt & Greed – “What’chu talkin’ ’bout, Willis?”. Well, slightly beyond the scope for this post, we sometimes carry those emotional feelings, in as much as we carry fear, lack of confidence, envy – to name just a few. To a certain extent all of those are not needed, but they do serve as some kind of a warning sign, and in moderation can turn the wheel in your favour and have positive outcomes. Fear can direct you away from trouble, and envy can perhaps give you motivation for initiative. Even guilt, a voice from your conscious, or greed, an act of ambition, can sometimes drive you to the right track. 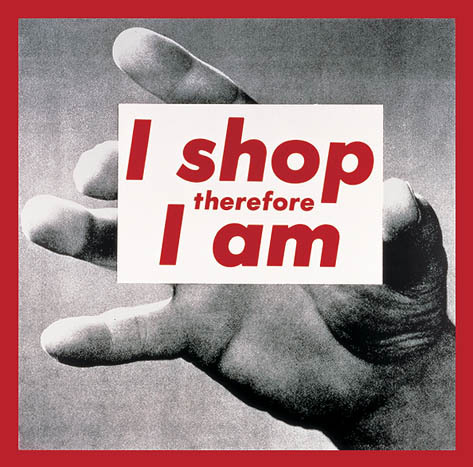 The reason I chose carefully guilt and greed, is because they have a dimension directly linked to buying things. Guilt often causes you to compensate. And compensation is not as pure, and as fitting, as the original causality. Buying excessive toys to kids because you do not spend any time with them, is an example of the former. Greed is the fundamental drive causing you to need things you do not need. So eliminating one bird, will cause the whole tree to fall. Or something like that. I’m pretty sure there was another bird somewhere, originally. But we don’t need it either. Big Weddings – Something that is almost a plague in my homeland. And I do not mean, to those that can afford it. It is those couples that struggle to have or rent a home, do not get a lot of help from their parents, their current work income is hardly sufficient to their basic needs, yet they spend a fortune inviting 600-800 people some of which they hardly know, with expensive catering, bar (in my country it is usually free for the guests – here in UK that is almost suicidal…), exquisite scenery and location, music, dresses and cloth, flowers and décor, invitations, party theme, lavish car to pick the newly wed, a top photographer… it is endless. In the name of “our life are going to be tough so at least we make one day perfect”, the young couple throws themselves down many a steps in the ladder, they will than need few years just to get back to where they were. Extremely short term satisfaction never lasts (if at all, many a times it is another case of bragging, hiding the real situation, or pseudo-satisfaction meaning external show off rather than a real intrinsic one). I’m all for experiences in general, and they prove to be more valuable to ones long term mental health than consuming things, but this is more about consuming artificial commodities in the experience. You can make a lifelong shining experience, by focusing on the things you do need in your wedding: relations, friends, party atmosphere, fun. Everything can be reconsidered to fit your budget and needs, helping you to start your life as a couple on a positive note (and positive balance). Your real friends will want this for you as well. Bonus – Too long posts by people that tell you what you need and what you don’t need – they make me sick. In fact, I’m sick. I wonder why. So what do you actually do need? This is surely deserving it’s own discussion, and I promise a separate follow up post sometime, but if you have basic roof and security, you surround yourself with loving friends and family, go outside, choose the positive options life present you, engage your body and your mind often, use your imagination, and have something significant to your life: you cannot be too far off the track.